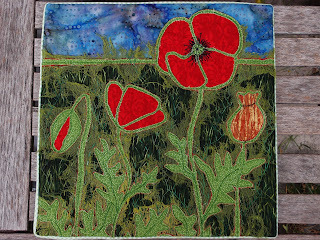 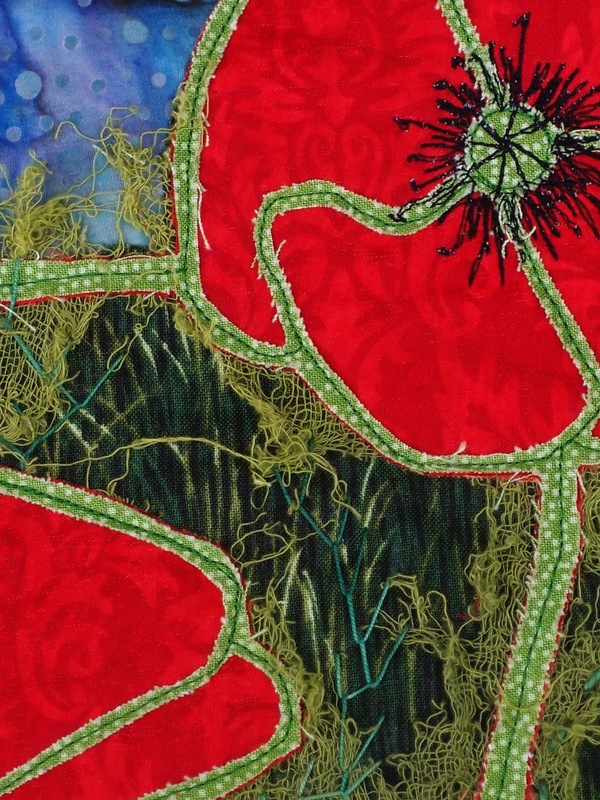 The quilt "Red Poppy" is done like "Modern Mola". I have first sewn together several layers of fabric and then cut differently. 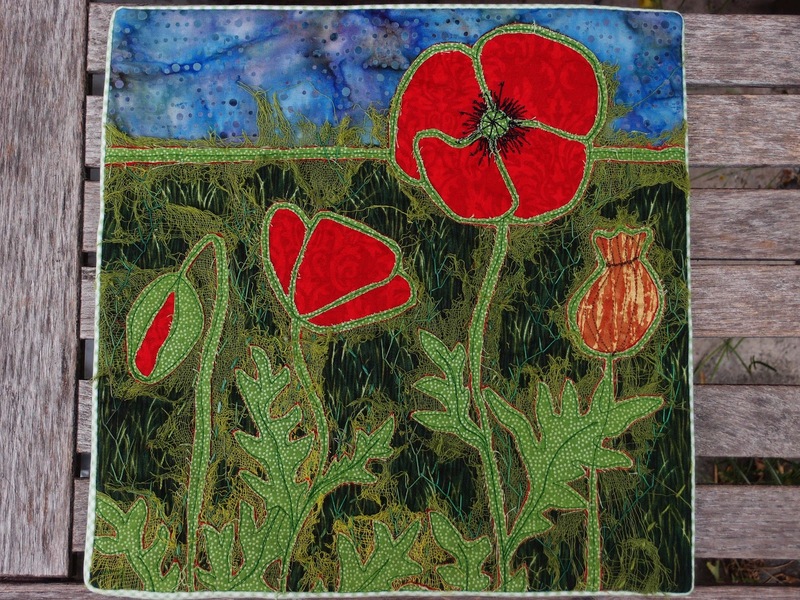 Then embroidered by machine and hand.